As Tropical Storm Emily moved through Florida early this week, residents relied on alerts from local authorities for accurate depictions of the storm conditions. 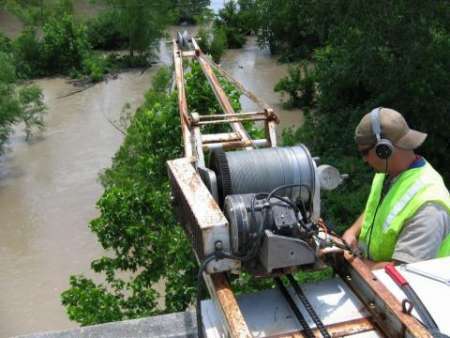 The Department of Homeland Security’s Science and Technology (DHS S&T) First Responders Group is working with the Lower Colorado River Authority (LCRA) in Texas to develop Internet of Things sensors and geo-targeting alerts that will enable faster reporting of flood conditions so that first responders can better respond to problem areas. Flash floods are particularly dangerous because they combine the destruction of a flood with speed that is hard to predict. Flash floods occur when excessive water fills normally dry creeks or river beds along with currently flowing creeks and rivers, causing rapid rises of water in a short amount of time, which can happen with little or no warning. Flooding occurs in every U.S. state and territory. In the United States, floods kill more people each year than tornadoes, hurricanes, or lightning, according to the National Severe Storms Laboratory. Densely populated areas are at a high risk for flash floods because the construction of buildings, highways, driveways, and parking lots increases runoff by reducing the amount of rain absorbed by the ground. Some streams through cities and towns are routed underground into storm drains. During heavy rain, the storm drains can become overwhelmed and flood roads and buildings. “Since LCRA is based in Austin, Texas, it has the experience of dealing with one of the riskiest flood areas in the nation. Central Texas, given its steep terrain, has shallow soil and high rainfall rates,” according to a blog post from DHS. The IoT low-cost flood inundation sensors team is working on a sensor technology that monitors flood-prone areas in real time and detects and alerts officials, business owners, and residents to potential threats. The smart alerts project will send data to first responders from the IoT flood sensors instead of having to physically assess the flood area. The team is developing a software technology to collect data from flood sensors, analyze it and send it as geo-targeted alerts to the individuals who are affected by the event. DHS said that by early 2018, nearly 300 sensors will be delivered to S&T for field deployment, testing and evaluation. DHS predicts that the sensors will be 20 times less expensive than what is used today, at less than $1,000 per unit.